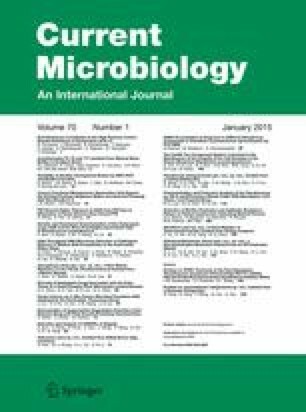 The recently discovered CRISPRs (Clustered regularly interspaced short palindromic repeats) and Cas (CRISPR-associated) proteins are a novel genetic barrier that limits horizontal gene transfer in prokaryotes and the CRISPR loci provide a historical view of the exposure of prokaryotes to a variety of foreign genetic elements. The aim of study was to investigate the occurrence and distribution of the CRISPRs in Shigella. A collection of 61 strains of Shigella were screened for the existence of CRISPRs. Three CRISPR loci were identified among 61 shigella strains. CRISPR1/cas loci are detected in 49 strains of shigella. Yet, IS elements were detected in cas gene in some strains. In the remaining 12 Shigella flexneri strains, the CRISPR1/cas locus is deleted and only a cas3’ pseudo gene and a repeat sequence are present. The presence of CRISPR2 is frequently accompanied by the emergence of CRISPR1. CRISPR3 loci were present in almost all strains (52/61). The length of CRISPR arrays varied from 1 to 9 spacers. Sequence analysis of the CRISPR arrays revealed that few spacers had matches in the GenBank databases. However, one spacer in CRISPR3 loci matches the cognate cas3 genes and no cas gene was present around CRISPR3 region. Analysis of CRISPR sequences show that CRISPR have little change which makes CRISPR poor genotyping markers. The present study is the first attempt to determine and analyze CRISPRs of shigella isolated from clinical patients. The online version of this article (doi: 10.1007/s00284-014-0683-8) contains supplementary material, which is available to authorized users. Our study was funded by the Important National Science & Technology Specific Projects (2013ZX10004607). Supplementary material 4 (DOCX 16 kb) There were two errors in this file. The primer of cas3 rev ‘GCCCCCTGATCGTATGGATG’ should be ‘GTCATTCCTGCTTCCAGCCT’. In addition, we should revise the length of PCR product of CRISPR, since the length of CRISPRs varied because the number of repeats/spacers changed among the different strains analyzed.